One Man and A Brush Painters Roswell is your trusted painting Roswell GA experts who take great pride in offering homeowners affordable painting services. Downtown Roswell GA, the eighth largest city, has been chosen twice by “Atlanta Magazine” as the best place to live in the Metro-Atlanta area, we are proud to have been serving their painting needs since 2005. We are professional painters, offering only the highest quality exterior & interior painting Roswell GA & home improvements. Exterior painting Roswell GA can renew and protect the exterior of your home as well as showcase its character. And, while selecting the right exterior house paint color is critical, choosing the right exterior house paint and using good exterior house painting application techniques are also key steps to a beautiful, lasting exterior house paint finish. From siding to shutters, front doors to trim, cabinets to flooring, house painting gives you the opportunity to completely change the look or simply restore the original beauty of the surfaces of your home. Considering that the exterior of the home is the first thing guest and neighbors see, many homeowners have made the decision to make the exterior of their home a priority. Exterior painting is one easy and affordable way to make the most out of your homes value. Our services don’t end on the last day of your project. We offer a free 3-day touch-up service and a 5-year house interior painting and exterior painting warranty on top of giving you cost prices for our high quality paint. You deserve a quality paint job you can be proud of—that’s the only kind of work we do. We are a local painting company Roswell GA that “Care’s”, performing quality interior home painting services down to the last brush stroke! Give us a try, you will be glad you did! With hundreds of homes painted we have experience you can trust. We know that experience in the residential house painting industry is not everything. 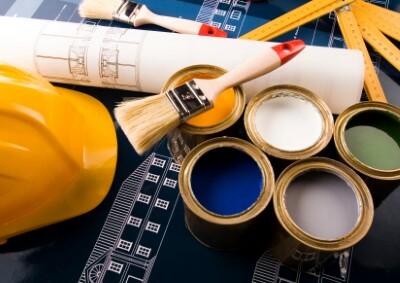 Caring about our painting work goes a long way toward being the best painting contractor Roswell. I hired Richard because he had a confident, thoroughness about him. He started on time, finished on time, and in the end, it was a great job! The painter who actually did the job met me the day after for a walk through, in which he answered all my questions. I would hire One Man and A Brush again, and easily recommend them to anyone! If you are looking for the highest quality painting contractor Roswell, please call One Man and a Brush painters Roswell at 678-368-5115 for a free estimate or schedule your appointment online at our Online Appointment Calendar.